I've been planning to make my first Baby Surprise Jacket (BSJ) for a while now. My friend is having a baby--due in July--so now seems like the perfect time. The BSJ is a classic pattern designed by Elizabeth Zimmerman in 1968. If you are on Ravelry, I am sure you have seen it, and the 11,400 (as of this date) versions of this sweater that have been made by knitters around the world. 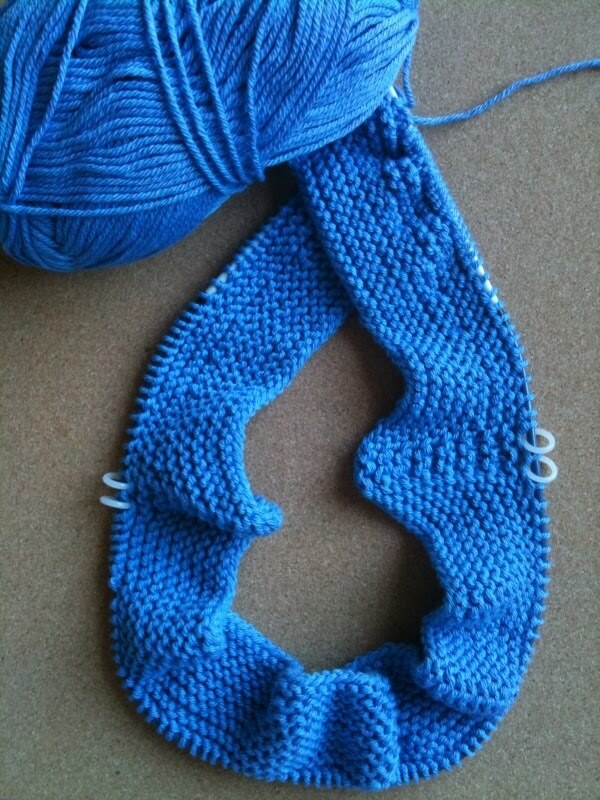 In its most basic form, the pattern is "just" a simple, shaped garter stitch rectangle. However, because EZ's original pattern was written in a kind of narrative form and does not walk you through row by row like many modern patterns, it can be a mysterious adventure trying to figure out exactly what you are supposed to be doing at any given time. Add to this the fact that the shape looks nothing like a sweater as you are actually knitting it, and there lies the beginnings of some massive confusion. There are numerous blogs, videos, wikis and forums dedicated to deciphering this seemingly easy little pattern. Actually, there is so much information out there with so many unique modifications and variations, it can make it even more overwhelming. 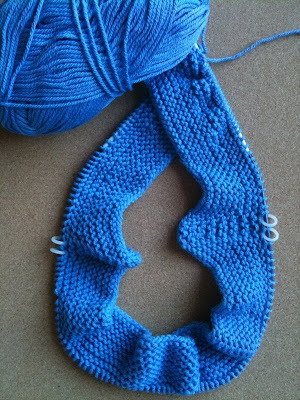 Armed with my needles and blue Lion Brand cotton-ease yarn, I embarked on the BSJ journey a couple of days ago. I got this far and realized my stitch count is off already. Time to frog and start all over again!